Teachers who have worked with BioEYES for a certain amount of time may be presented with the opportunity to become Model Teachers. Whereas in the standard BioEYES program, the BioEYES educator is present for three of the five days, a Model Teacher borrows the fish and equipment from their local BioEYES branch and presents the entire program themselves. 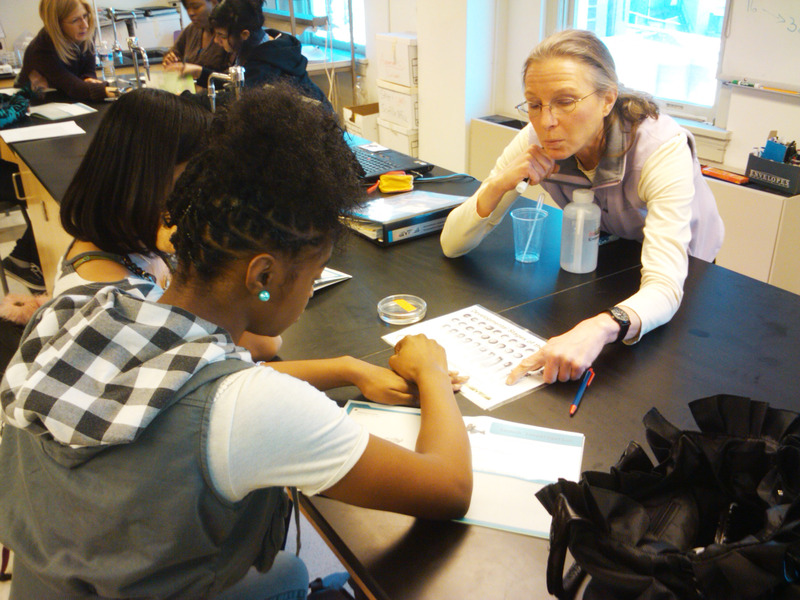 BioEYES Model Teacher Nancy Street helps her students identify the developmental stage of their embryos. Why Be a Model Teacher? Model Teachers have much greater scheduling flexibility. The BioEYES Outreach Educators' schedules tend to fill up fast, but a Model Teacher can have many more weeks to choose from. They can tailor the curriculum to their students. While the BioEYES curriculum is designed to meet local and national standards and BioEYES Outreach Educators are trained to work with a wide varity of students, teachers know their own classes better than we ever could. Being a Model Teacher provides teachers the opportunity to customize our standard curriculum to better meet the specific needs of their individual classes. It is much more cost-effective. Our program is primarily grant-funded, allowing us to bring the program to many locations at no cost to the school. Unfortunately, the grants do not necessarily cover all school districts. For interested schools not covered by a grant, having teachers trained as Model Teachers can be a much more affordable way to bring BioEYES into their classrooms. 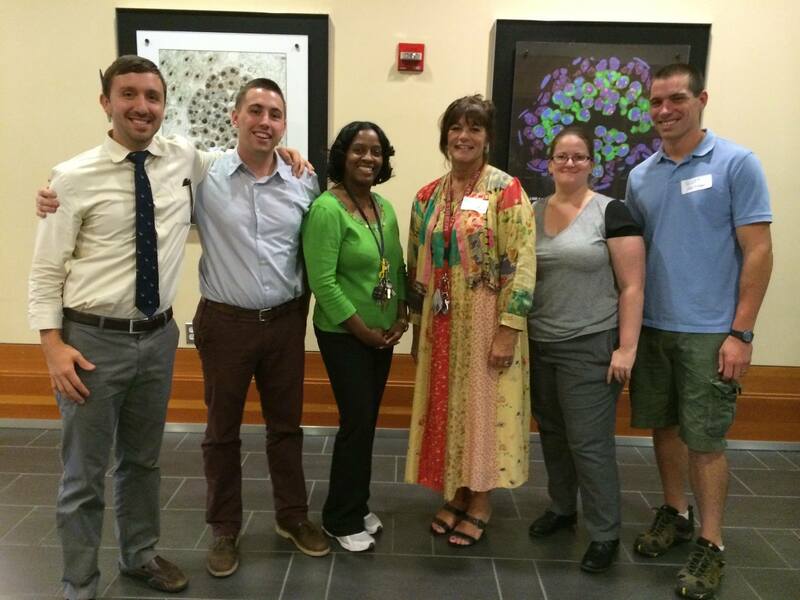 The Baltimore BioEYES Model Teacher graduating class of 2014. The ideal track for a model teacher candidate is to receive the program from the BioEYES Outreach Educator their first year, co-teach with the Educator the second year, and become a full Model Teacher the third year. All teachers must attend a Model Teacher training that goes into the specifics of the BioEYES program in far more depth than our standard teacher trainings. To learn more about becoming a Model Teacher, please contact your local BioEYES representative. "My class is LOVING life right now! Thank you again for this amazing opportunity. They are so excited. I love the modified Nano version. It is age appropriate and perfect for them."